The Ford 021C concept of 1999 was a car designed to appeal to the younger generation. The very young, 21 and under actually. 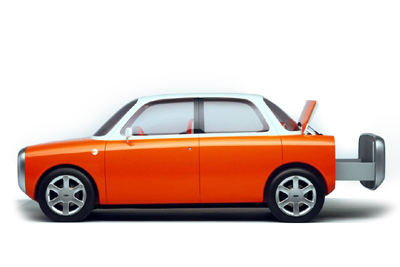 The highly simplistic design of the 021c hides no suprises, and looks thoroughly toy-like in appearance. Built from carbon fibre, the body is free from unnecessary decor. 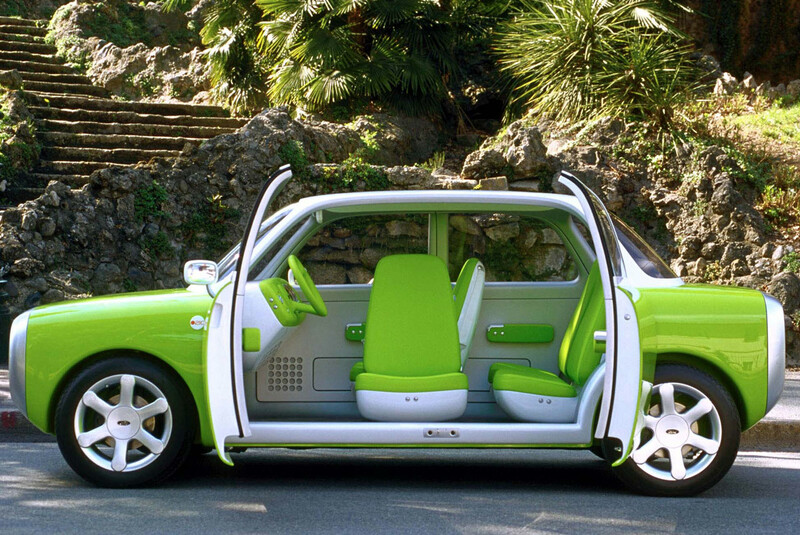 Access is via the 4 clamshell doors, where the rear doors are hinged at the back allowing easy entry. 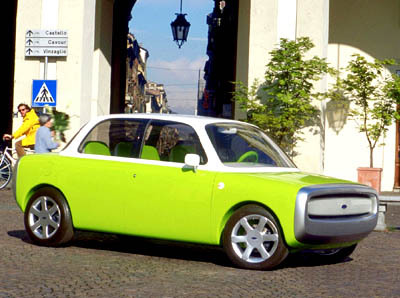 Designed almost entirely by one man, Marc Newson, the 021c is intended to be "light, likable and fun,". 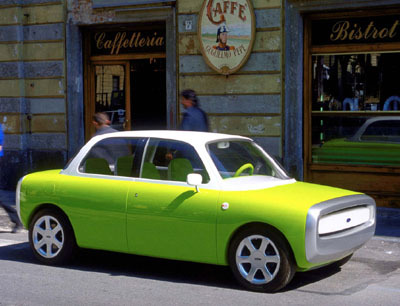 Newson also points out the fact that the 021c is a real-life interpretation of what a 'car' is to a child. Highlights of the Ford O21c include; a sliding drawer-like trunk, single headlight lens, wrap around bumper, central locking activates lights around exterior handles, and specially designed Pirelli tires.